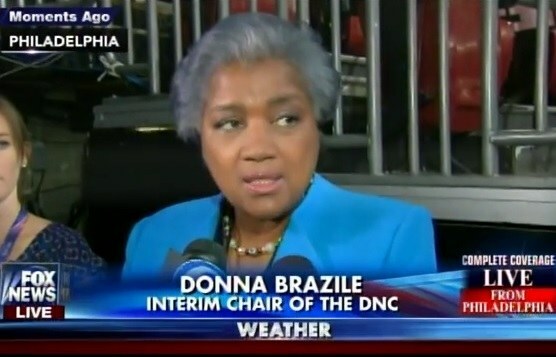 On Monday morning DNC interim Convention Chair Donna Brazile spoke to reporters about the Wikileaks scandal. The truth is at the Democratic Party we have a very open process… On behalf of the party I want to apologize for the salacious and sensitive, very mean-spirited emails that were referenced to in Wikileaks. Now look, we all know the party’s emails were hacked. We know that they are being selectively leaked. We also know that they have been tampered with. And, so I do believe that as a party we have to make sure that the material information that gets out is not harmful to the party. So that must be the latest lie.